I have been working as a freelancer Article Rewriting Freelancer for most of my career for many employers and companies worldwide. I have completed many large scale projects in the areas of Article Rewriting, Article Submission and Articles for many employers and companies. I have also worked as a Banner Design Artist and Blog Design Designer throughout my career. I would be happy if I am hired by you as I can prove my skill and deliver high quality work for you. 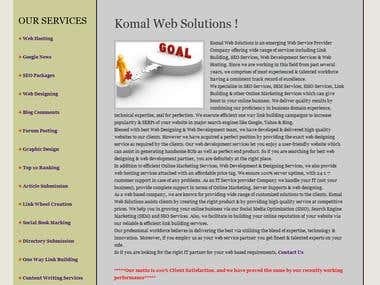 I am providing link building, seo and web designing services since 2007.